Free USPS shipping on orders over $25! We manufacture a durable, high quality, LAMINATED label exactly as specified, at an incredible price. FAST shipping. Over 95% of our orders ship same or next business day. Yes, that includes our laminated custom labels. 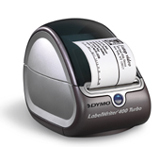 High quality lables for use in Dymo LabelWriter® printers. All of our tags are laser engraved and laser cut using the highest quality plastic available. Roteck Enterprises, Inc. (roteck.com) is in no way affiliated with, authorized, endorsed or licensed by PartyLite Gifts©, Southern Living at Home© or Country Bunny Bath & Body©. All of these companies names are either registered trademarks or trademarks of their corporation. roteck.com is not an agent or representative of these companies. Copyright © 2001-2017 Roteck Enterprises, Inc.